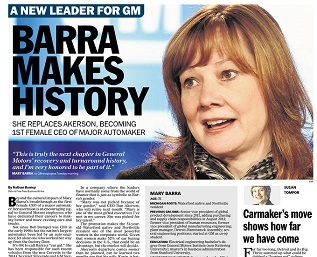 “At long last Detroit is getting some Girl Power!” says Forbes.com about General Motors naming its first CEO, Mary Barra. 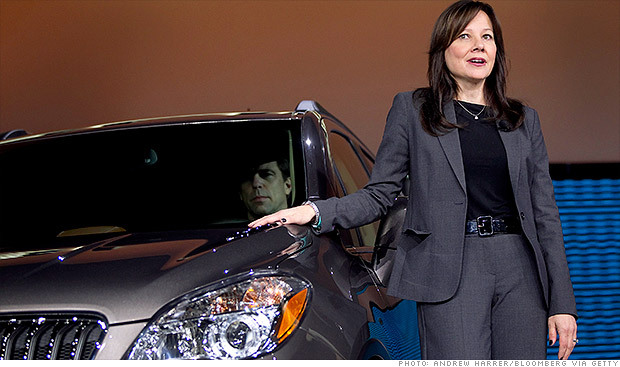 It’s a big win for women in the automotive industry, as there has never before been a female CEO at any of the big well-known car manufacturing companies. For those not in the know, Detroit is the city known as the world’s traditional automotive center, hence one of its nicknames “motor city”. Mary is currently the company’s executive vice president of global product development, purchasing and supply chain, and will take up her new post at GM on January 15, 2014. Mary is no stranger to the car industry, having worked at GM for over 33 years, and currently sits at number 35 on Forbes’ list of most powerful women. In her time at the company, Mary has worked in positions of manufacturing, engineering and senior management, and gradually worked her way up the corporate ladder. In the statement announcing her new role as CEO, GM credited Barra with “revitalizing GM’s product development process,” saying that her efforts resulted in higher product quality ratings and increased customer satisfaction. We wonder how her appointment as their first female CEO will affect the types of marketing and product they put out, as well as what impact it will have on other females in this industry. If anything, it will start to show people this old school “boys club” is starting to change, with a wave of new attitudes toward women in the workplace. This will also hopefully show young women to pursue leadership roles in corporate positions. On December 11, Pew Research published a study about how millennial women are closing the gender pay gap, and that is a promising sign for future generations. According to the eye-opening study, there is a lot less discrimination today than 20-30 years ago for women, but we still have a long way to go. Most women surveyed said they didn’t feel they lost out on jobs because they were female, which means attitudes have changed a lot and millennials are responsible for a hell of a lot of positive change in society. We constantly need to be challenged, inspired, and held accountable at every stage of our lives. 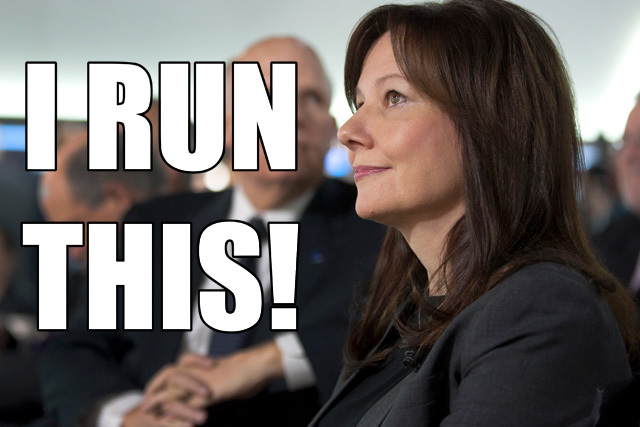 Seeing women like Mary Barra becoming the automotive industry’s first female CEO helps other young women tremendously, and hopefully encourage them to persist, work hard and not give up despite opposition. Change doesn’t happen overnight but the more we as women work together, praise one another for our achievements and support our gender, we will see radical things happen. Change is only as effective as the people who want it, and live it out. How badly do you want to see change for the better for women, and how hard are you willing to work to see it happen? I’m happy to hear this. I know guys and a lot of gals like the shifter on the floor, but I for one find it a real pain! I want my shifter on the column and the arm rest that comes down out of the bench seat!! When we went looking for a different car this year there were none that had the gear shift where it belongs!! Maybe she will change some of that.